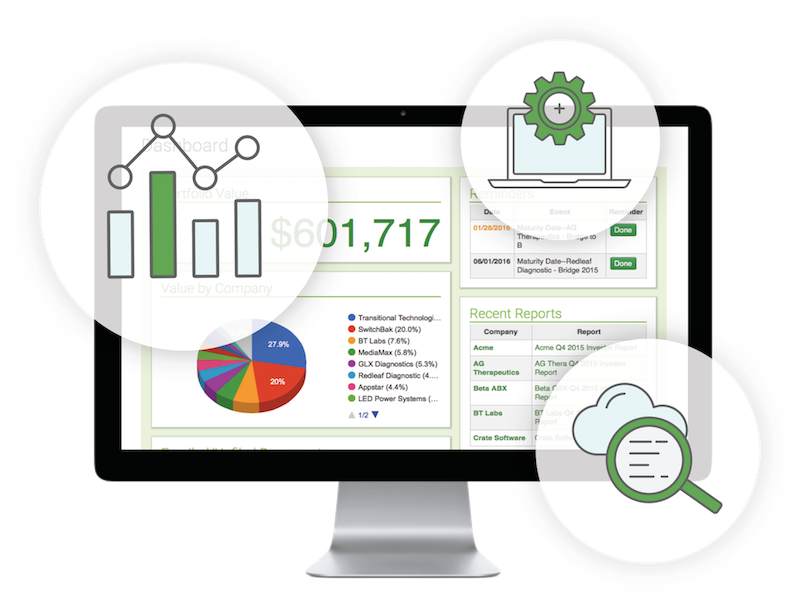 Your public investments are tracked and reported on. Why should your private investments be any different? Successful investing requires active management, and Seraf provides a platform for you to track and analyze your early stage portfolio to keep you organized and driving superior results. Seraf gives you every tool you need to actively manage your portfolio from investment to exit as part of your daily work flow. With Seraf you can record your investments, analyze your portfolio, share records with colleagues, family and advisors, store documents, keep track of important dates and stay up to date on company progress. Individual investors needing portfolio management fundamentals in addition to deal document storage, advanced analytics, tracking for warrants, options and tax issues, plus automated reminders. 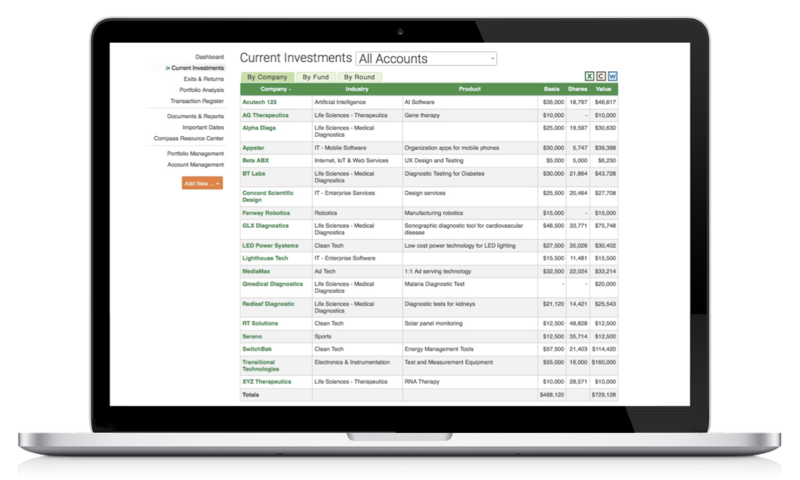 Active individual investors needing Advanced features plus more document storage, multiple investment accounts for trusts and IRAs, tools to track investments in funds, and data export capabilities. Seraf has been an absolute godsend for me. With Seraf, all my investment data is in one place, available to me for easy analysis any time and any place. As someone who has almost two dozen private investments I find Seraf to be an invaluable organizational tool, saving me hours of organization and file cabinets of documents. Also I invest on behalf of several family trust accounts which Seraf is able to keep separated and track individually, giving me peace of mind in case I am incapacitated. Having all my documents stored on Seraf helps me track the progress of my investments. I can find the information I need quickly instead of searching through stacks of paperwork. With Seraf I finally understand the value of my angel portfolio and can make better investing decisions.